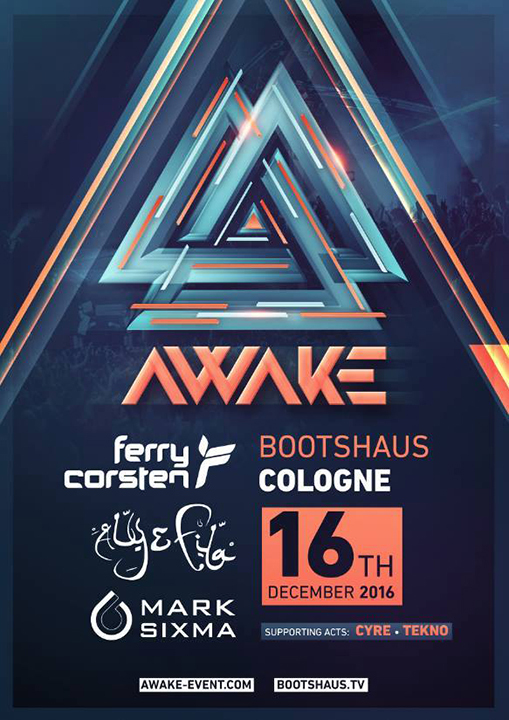 AWAKE is born! Our mission is simple: We’re about to bring back the glory days of Trance to the biggest cities in Germany. Since the mid of 2015, many new trance events have been initiated all over the world. Big crowds in the United States and Australia have been craving for sophisticated trance sounds in clubs and festivals. We believe it’s about time to wake up with the ultimate new trance concept.